“This book brings together new work and new perspectives on the relationship between Hitchcock and Herrmann. Featuring chapters by leading scholars of Hitchcock’s work, the volume examines the working relationship between the two and the contribution that Herrmann’s work brings to Hitchcock’s idiom, as well as expanding our understanding of how music fits into that body of work. The goal of these analyses is to explore approaches to sound, music, collaborative authorship, and the distinctive contribution that Herrmann brought to Hitchcock’s films. Consequently, the book examines these key works, with particular focus on what Elisabeth Weis called ‘the extra-subjective films’—Vertigo (1958), Psycho (1960), The Birds (1963)—and explores Herrmann’s palpable role in shaping the sonic and musical landscape of Hitchcock’s work, which, the volume argues, has a considerable transformative effect on how we understand Hitchcock’s authorship. As this excerpt from the book’s introduction suggests, “Partners in Suspense” is a collection of fourteen scholarly articles about the creative marriage of Bernard Herrmann and Alfred Hitchcock. Although their working relationship would eventually end in divorce, their collaboration lasted over a decade and gave audiences eight films (some of which are considered to be amongst the best ever made). This is a subject that has too often been overlooked, and a book on the subject is long overdue. Perhaps the most immediate surprise when considering the topics discussed in this collection is the lack of information and analysis about Herrmann’s first collaboration with Hitchcock (The Trouble with Harry). It would seem that their first collaboration would be of special interest, and the book does provide some general information about Lyn Murray’s initial suggestion that the director work with Herrmann (including excerpts from Murray’s personal journal), but the score for The Trouble with Harry is largely ignored. What’s more, the book neglects Herrmann’s wonderful score for the The Wrong Man—which is one of their most interesting collaborations. Those looking for a biographical account of the Hitchcock/Herrmann relationship will likely be disappointed. What these pages offer is scholarly examination of Herrmann’s music and how his scores affect the finished film. Anecdotal information is only given as a means to contextualize the theoretical analysis or to provide support to the arguments being made. The result is useful (especially to other scholars), but average cinephiles will be less enthusiastic—especially if they do not already have a rudimentary knowledge of music. The 50th Anniversary Edition of Psycho (1960) was one of the first reviews posted on this site. This exact same transfer is being released with the same supplemental features in this new Pop Art edition of the film. The Birds (1963) is also being honored with a new Pop Art edition of the film that includes the same transfer with the same supplemental features available on Universal’s previous release of the film. 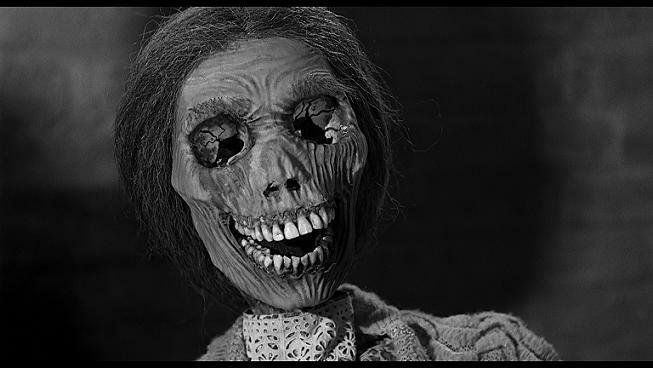 The 50th Anniversary Edition of Psycho (1960) was one of the first reviews posted on this site. The exact same disc has recently been re-released with the same transfer, supplements, and artwork (minus the 50th Anniversary label). The only difference between the two releases is that the more recent edition comes with an Ultraviolet copy of the film. 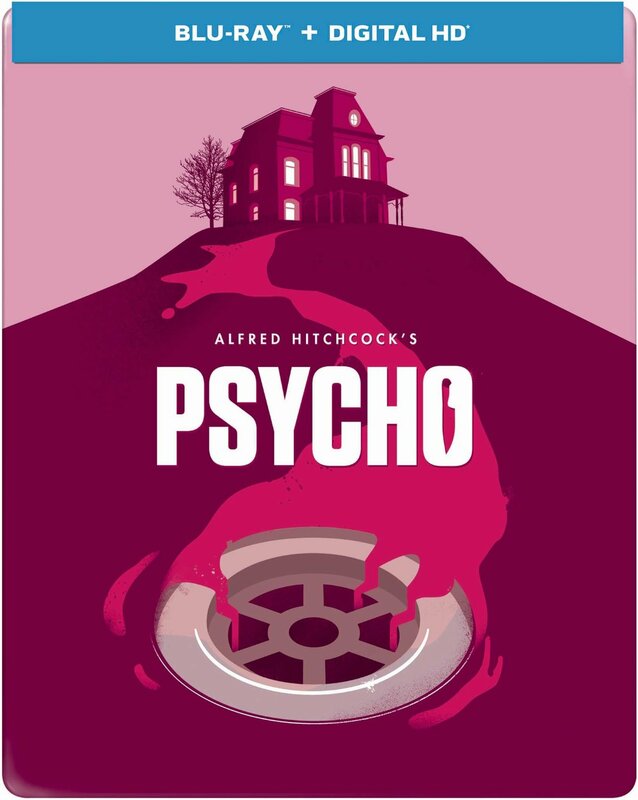 There is also a Limited Steelbook Edition of Psycho. This release contains the same transfer and supplements as the previous discs, but will be presented in a steelbook case with new artwork. 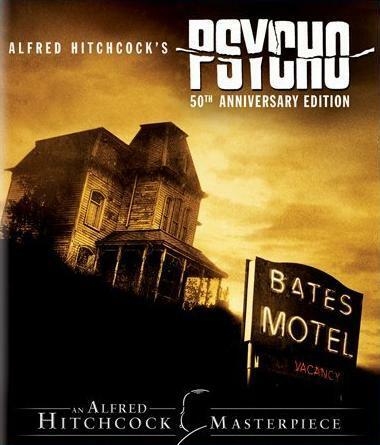 Blu-ray Review: Psycho – 50th Anniversary Edition. Nominated for an Edgar Allan Poe Award from the Mystery Writers of America in the category of Best Critical/Biographical, 2012. 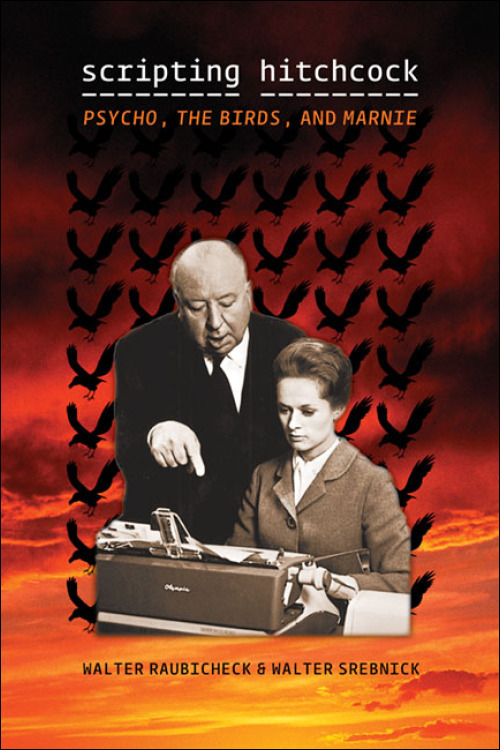 Walter Raubicheck and Walter Srebnick’s Scripting Hitchcock explores the collaborative process between Alfred Hitchcock and the screenwriters that he chose to write the screenplays for Psycho, The Birds, and Marnie. Drawing from extensive interviews with the screenwriters and other film technicians who worked for Hitchcock, Raubicheck and Srebnick illustrate how much of the filmmaking process took place in the scripting phase of production. One might assume that the book simply treads a path that is covered in detail by Stephen Rebello’s Alfred Hitchcock and the Making of Psycho, Tony Lee Moral’s Hitchcock and the Making of Marnie, and Moral’s follow-up The Making of Hitchcock’s The Birds. However, Scripting Hitchcock proves to have much to contribute to the study of these films. It makes an excellent companion piece to the other publications, but also stands on its own as a decisive look into Hitchcock’s relationship with his writers. It manages to educate the reader while enhancing their appreciation of the films in question. What else could anyone ask? Notes: This disc is the same transfer used in “The Masterpiece Collection” boxed set. This title is also available on The Legacy Series 2-DVD set and contains an SD version of the transfer as well as most of the same special features. Instead of the Psycho Sound featurette, the release includes the Alfred Hitchcock Presents episode, Lamb to the Slaughter. Psycho is an extremely pleasurable film to watch. It might very well be the most iconic film of all time. The film is held in such high regard that it is rather difficult to believe that initial critical reaction was less than favorable. This is actually a huge understatement. A few of the reviews from the era might be considered hostile. “A new film by Alfred Hitchcock is usually a keen enjoyment. Psycho turns out to be an exception… There follows one of the most disgusting murders in all screen history. It takes place in a bathroom and involves a great deal of swabbing of the tiles and flushings of the lavatory. It might be described with fairness as plug ugly. Psycho is not a long film but it feels long. Perhaps because the director dawdles over technical effects; perhaps because it is difficult, if not impossible, to care about any of the characters. There were many such reviews. It has been theorized that the critics were angered because they were not allowed a special screening of the film and held the inconvenience of watching the film with regular audiences against Hitchcock. According to this theory, the critics took their revenge by assaulting the director with poised pens. I suppose that this is possible. Another possibility is that they were simply expecting another North by Northwest and instead, the director delivered something radically different. Critics have been known to hold it against a film when it does not meet their expectations. In the end, it does not matter why critics seemed to hate the film because they were forced to reconsider their appraisals when audiences loved Psycho. Many people saw the film multiple times. It was a phenomenal success on every level. By the end of the year, even critics were singing its praises. Some of the very same critics that condemned the film upon its original release were writing new reviews claiming it as one of the year’s best. Psycho has lost none of its appeal. It is less shocking to modern audiences, but Psycho is still as enjoyable today as it was over 53 years ago. It is probably one of the most studied films in cinema history and interest doesn’t seem to be waning. 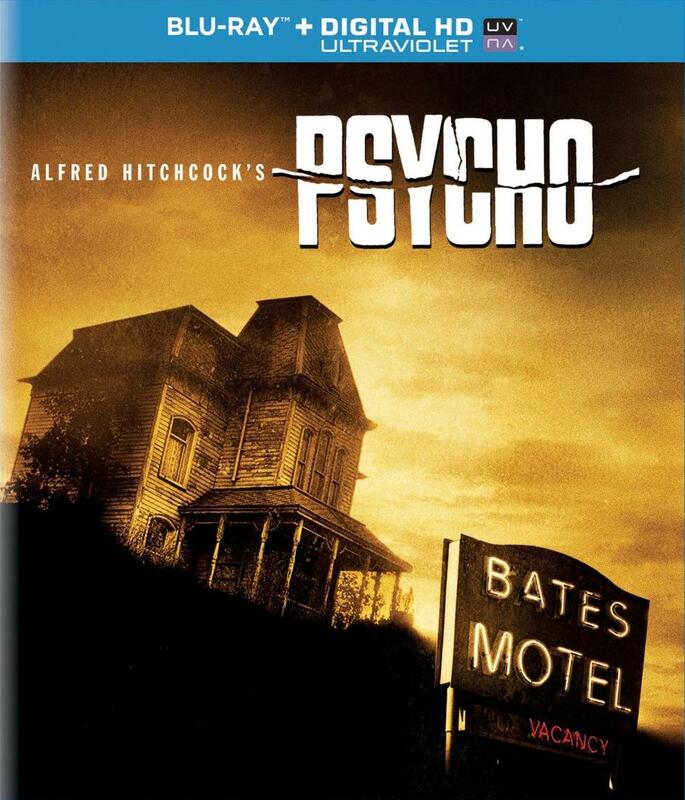 The 50th Anniversary Edition of Psycho is housed in the standard blue case with absolutely gorgeous cover art. The menus are also gorgeous and employ sepia tinted footage from the film itself. It is visually stunning, but the presentation is slightly marred by the lack of Bernard Herrmann’s iconic score. This is only a minor complaint and this issue should not detract from the viewer’s home video experience. The picture really looks remarkable and is a vast improvement over other home video releases of the film with incredibly crisp detail evident throughout the film. The contrast looks attractive and reasonably accurate, which essential in this particular film. The grain seems in keeping with the celluloid source and isn’t distracting but welcome and in keeping with the texture of the original cinematography. There is unfortunately some slight aliasing to report (especially on certain fabrics) and there may be some noise related issues on certain landscape oriented shots in the film. The print is not immaculate and there are occasional black and white specks to report. None of these issues is likely to be distracting to most viewers. This is the best Psycho has looked on home video and it surpasses any expectations that most viewers are likely to have. It might not rival the exceptional Warner Brothers release of North by Northwest, but comparing the transfer to that particular 8K restoration print seems incredibly unfair. The 5.1 TrueHD sound mix of the film’s original elements is likely to be a controversial issue amongst purists. The mix sounds incredible, but it seems as if there are sound effects missing from the 5.1 track that are evident in the film’s original soundtrack. It isn’t distractingly evident and it is doubtful that most viewers will even notice. However, it seems rather unfortunate (considering how meticulous Hitchcock was about his soundtrack). The mix itself is enjoyable and compliments the film nicely enough, but some will probably prefer the original mono track. Luckily, this track is also available on the disc (though not in high definition). Psycho does not offer many features exclusive to the Blu-ray disc, but it does port over the many excellent features from the DVD releases. Stephen Rebello is known for writing the book, “Alfred Hitchcock and the Making of Psycho.” His commentary is informative and focuses on the film’s production. He manages to relay a wealth of information in an engaging and entertaining manner. There is a lot to love about this commentary and it adds value to this release. Laurent Bouzereau’s documentary is probably the most comprehensive and well made documentaries on the making of a single Hitchcock film that I have ever seen. It covers every aspect of production in great detail. It might have been better if archive footage of Alfred Hitchcock, Anthony Perkins, and Vera Miles were included. I know that relevant footage is available. Oddly, the documentary is so enthralling that the absence of these key contributors goes unnoticed until it is over. They are certainly discussed at great length. The documentary is far from a mere fluff piece. It is the best feature on the entire disc. This is a vintage promotional newsreel revealing Hitchcock’s unique policies surrounding the film’s release. It is surprisingly witty and entertaining. Hitchcock fans will love it. Contemporary filmmakers discuss Hitchcock’s influence and why his movies continue to thrill audiences. This is actually much better than it sounds, because we see clips from contemporary films that illustrate the director’s profound influence on contemporary cinema. This brief featurette is new to the Blu-ray disc and looks at the re-mastering process used to create the 5.1 mix from the original mono elements. It is interesting, but is of less interest than the supplements about the film’s production. Theatrical trailers are rarely this entertaining. Instead of featuring footage from the actual film, Alfred Hitchcock gives a fabulously witty tour of the iconic set. He cryptically teases the audience with plot details, but reveals only enough information to make the audience curious. It is really quite delightful. These re-release trailers are less interesting than the original theatrical trailer, but they are certainly worth watching. This feature allows viewers the opportunity to view the famous shower scene with and without Bernard Herrmann’s iconic score. It is actually surprising how differently the scene plays. The scene actually works quite well without music, but the effect is completely different. Without Herrmann’s score, the scene is less startling and more devastating. The sounds of the knife tearing through flesh, along with the Marion’s screams and whimpers make the moment more intimate when they are played against silence. The horror becomes more personal. There is no doubt that the score contributed to the scene’s success, but for reasons that I would have never guessed. Other people are certain to have different reactions than mine, but this supplement will remain interesting for almost everyone. These interview clips may sound familiar to those who have read Truffaut’s book length interview with Hitchcock, but it should remain interesting regardless. It is always a treat to hear Hitchcock discuss his films. The audio clips are presented over clips from the film, which increases one’s enjoyment. These are the famous storyboards for the film that were drawn by Saul Bass, who designed the title sequence for the film. This is merely a collection of photo galleries related to the production and marketing of Psycho. The way that it is listed on the disc is rather misleading (it implies that this is a separate feature and it is merely another set of stills). This is a wonder gallery of poster concepts and ads from the theatrical release of the film. This is an excellent gallery of lobby cards used to promote the film. These photos show the cast and crew while they were shooting the film. *The disc is also My Scenes capable and BD-LIVE enabled. This release surpasses expectations. The disc’s flaws are eclipsed by its merits and it deserves a place of honor on your Blu-ray shelf.